Gastroesophageal reflux disease (GERD) is a condition that affects nearly 60% of American adults; more than 7 million people will suffer from GERD symptoms at least once during any given 12-month period. 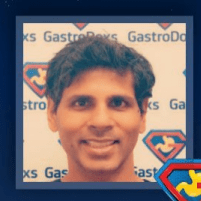 At GastroDoxs in Cypress, North Houston, Texas, Dr. Bharat Pothuri and his team provide several treatment options for patients suffering from acid reflux. Greater Houston area residents can rely on Dr. Pothuri for complete diagnostic and treatment services for all gastrointestinal issues, and the convenient online scheduling tool makes it easy to set your appointment. Many people suffer from occasional acid reflux but confuse the condition with heartburn. Heartburn is a painful sensation in the chest that often follows a big meal, and many people only experience heartburn when they lie down after eating. Acid reflux is the intrusion of stomach acid into your esophagus, caused by a weak or failing muscle, the lower esophageal sphincter. The lower esophageal sphincter is the gateway between your esophagus and your stomach. Ideally, it functions as a one-way door and closes to prevent stomach acid and food particles from traveling back up your esophagus, which creates a burning sensation. Both heartburn and acid reflux can lead to varying degrees of discomfort, but GERD is a severe medical condition that should be addressed by a physician. How does a hiatal hernia impact GERD? A hiatal hernia is a condition where the upper portion of your stomach moves out of place and into your chest through an opening in your diaphragm. That same diaphragm provides support to the bottom of your esophagus, and when it is disrupted by a hiatal hernia, the risk of GERD increases. Many people first learn that they have a hiatal hernia when they seek treatment for GERD. Likewise, when you come to Dr. Pothuri for care, he often recommends monitoring a hiatal hernia to make sure that acid reflux does not become a problem. Depending on the severity of the condition and your overall level of health, Dr. Pothuri may recommend lifestyle modifications to address the discomfort GERD causes. He may advise you to avoid food and beverages — including fatty foods, coffee, and alcohol — that can weaken your lower esophageal sphincter. Some people can find relief with over-the-counter antacid medications, but it’s important to know that these are not intended for extended use and can cause damage if overused. There are prescription medications available to treat GERD, and Dr. Pothuri can discuss the pros and cons of each option during your visit. Surgery is a last resort, but it can be the best course of action if you are unable to find relief through other approaches. To determine the best course of action for relieving your GERD symptoms, contact GastroDoxs today. Call or schedule an appointment online. We are conveniently located in Greater Houston and look forward to meeting you.